Attics are generally comprised of the extra space found at the top of a house, between the square structure of the building and the peak of the roof. This area can vary in size, shape, and design, which will determine how you can use the room. Flooring should be chosen to match the architectural and functional needs of the environment. At the same time, you have to be careful to avoid damaging the structure of your home with the installation of an attic floor surface covering. This refers to triangular roofing frames which are pre-designed in a factory and then shipped to a job site to be used as quick, inexpensive topping elements which can be simply lowered onto the structure of a home and then secured in place. While these are strong, durable pieces, they are specifically designed to handle the weight of the wind, rain, and the elements coming down on the roof, distributing it evenly down the walls. Because of this, they are not built to handle downward pressure from within, and the application of heavy objects in the form of storage or flooring to the bottom beam of attics built from prefabricated trusses can have negative ramifications for the structure of your entire home. When the structure of the roof is built together with the core of the home using a lumber frame then the floor of an attic should be stronger and able to handle much heavier loads. However, you still need to be sensible when weighing use, renovations, and flooring options. If you are considering using your attic as a living area, or for the storage of heavy objects, then you may want to consult with a contractor to be sure of safety. Even with the strongest attic built into the firmest of firmament building structures, you still want to avoid the unnecessary use of heavy flooring materials. Not only is it difficult to get heavy pieces all of the way up to the top of the house, but once installed they will be a constant weight, bearing down and slowly but surely weakening the integrity of your home. Heat rises, so the floor of your attic is like the hat of your home, and its effectiveness at insulating the structure will have a noticeable impact on your utility bills each month. In general, a house requires at least ten inches of insulation be installed between the joists or trusses that make up the home’s ceiling and the attic’s floor. That means that the insulation usually rises up above those beams. If a floor isn’t already present in your attic, then installing a plywood subfloor can compress the insulation, causing it to become less effective. This can be avoided by installing 2”X3” planks to raise the joists above the level of the insulation before the subfloor is brought in. Using a floor surface covering over the subfloor which has insulating properties, such as carpet, cork, or resilient materials over padded foam, can also help to prevent heat loss in the structure. 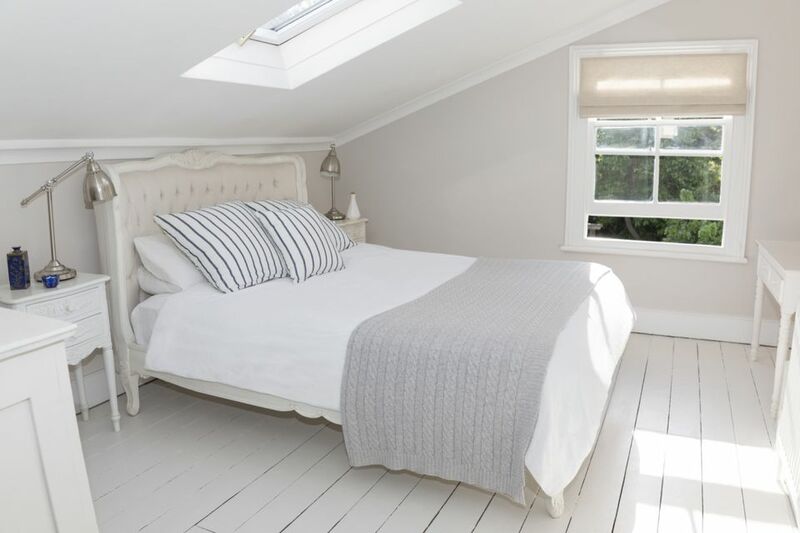 If you are just looking for extra storage space, then you might want to consider the minimalist approach of just installing flooring in part of the attic. This can be done near the opening to the house below and can act as a useful upstairs closet, without adding too much to the weight burdens or detracting from the insulation of the home. There are several do it yourself attic flooring solutions that are available from retail vendors. These are generally comprised of lightweight squares, that are designed to install directly onto the joists in the space and distribute weight placed atop them in an even and safe manner. They are also built with open grate slots that allow for ventilation of the insulation, so you can create a custom attic floor without having to sacrifice energy efficiency. How Do You Finish the Edges of a Carpet Piece to Make a Rug? Why Does Carpet Buckle or Ripple?